Cataracts are a natural part of the aging process and they develop over time as the lens inside the eye becomes yellow and cloudy. 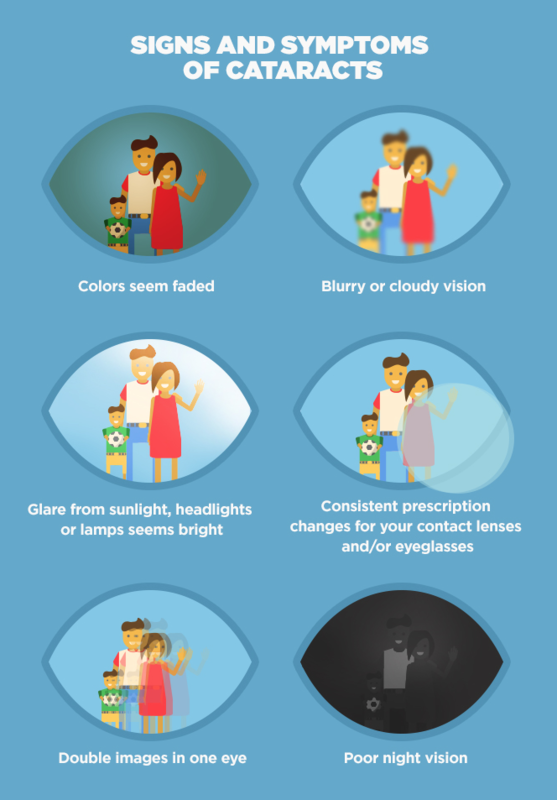 In the beginning stages of cataract development, signs and symptoms may go unnoticed. If you are experiencing changes in your vision or if you think you may have developing cataracts, our experienced doctors would love to see you for a comprehensive eye exam! Your health is our top priority and our board-certified doctors and surgeons at Grin Eye Care are able to evaluate for cataracts during every exam. Call us today at 913-829-5511 to set up an appointment!